Now’s your chance to own the Metallic Blue Chun-Li vinyl figure created exclusively for WonderCon 2018! Can’t make it to the Anaheim Convention Center during the busy opening hours? This presale makes it possible for you to purchase this extremely limited figure now and pick it up at Cryptozoic’s Booth #1337 during WonderCon. 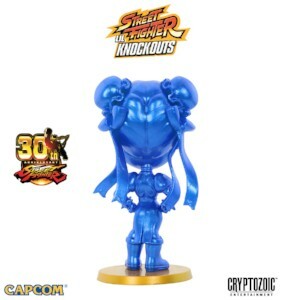 Metallic Blue Chun-Li is a variant of the regular Street Fighter Lil Knockouts vinyl figure, part of Cryptozoic’s collectibles line featuring fan-favorite characters from the long-running video game franchise. 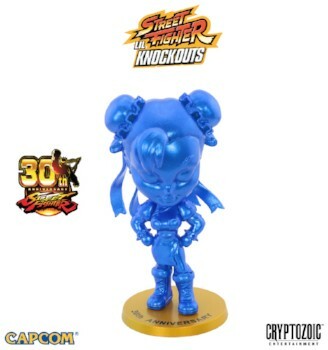 This version of the figure is all-blue as a tribute to the signature blue outfit usually sported by the character, the first female fighter in the series. Each figure is stamped with “30th Anniversary” on the base and is individually numbered (from 1 to 300) on the bottom. 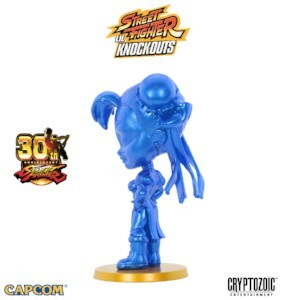 Designed by Pedro Astudillo and sculpted by Sam Greenwell, the 2.75-inch collectible comes packaged in Cryptozoic’s signature, collectible tin with a foil sticker marking the 30th anniversary of the Street Fighter series. Please read the detailed information in the “Description” section below before making your presale purchase. 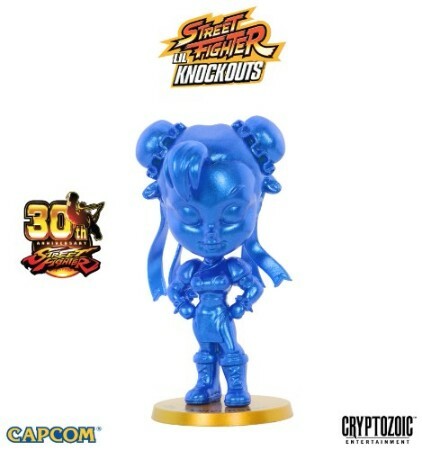 DESCRIPTION The $25 presale purchase is non-refundable for the Metallic Blue Chun-Li Street Fighter Lil Knockouts vinyl figure, which will be available exclusively at Cryptozoic's booth at WonderCon 2018 in Anaheim. At the booth, your purchase will be verified and you will be given your vinyl figure. We will NOT ship this item to you. If you do not pick it up, you will lose the item and the money you paid. You cannot designate someone else to pick up this item for you. Your presale purchase reserves this item for pick-up at our booth. 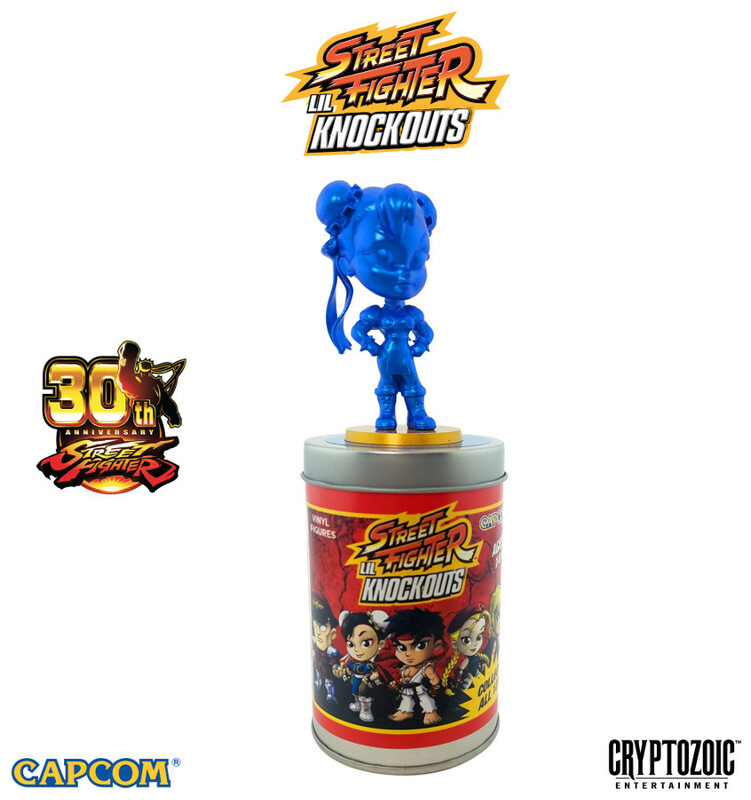 We will have an additional supply of Metallic Blue Chun-Li figures for purchase at our booth while supplies last. Any Metallic Blue Chun-Li vinyl figures not sold or picked up during WonderCon 2018 will be available for sale on our eStore after the event. Re you a Street Fighter Fan? Let us know in the comment section below. Also, don’t forget to Like, Share and Subscribe to all things Constant Collectible so YOU can keep up to date with all the news and reviews from a world of GEEK CULTURE.